Welcome to DiseaseFix Section for Eye Cancer (Ocular Cancer or Intraocular Cancer): Retinoblastoma. 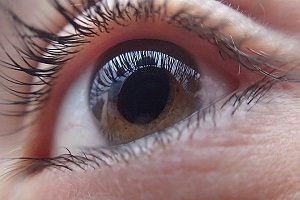 Eye Melanoma. Eye Lymphoma etc. Eye Cancer is a rare disease. 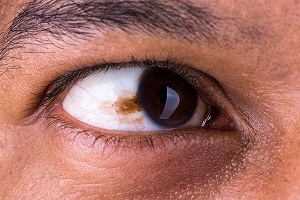 It generally spreads to the eye from another organ like skin or lymph nodes and is known as secondary eye cancer, which is more common than the primary eye cancer. 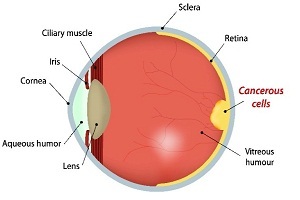 A primary eye cancer is the one that originally starts from the eye. 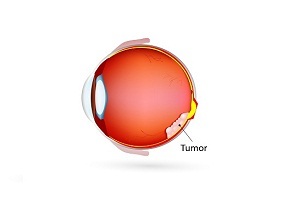 Tumor Behind Eye: What Does It Mean? Is It Cancer? 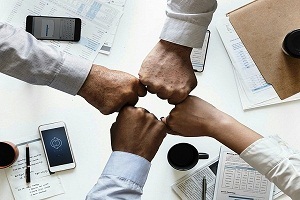 Tumors in the eye are generally secondary tumors caused by cancers that have spread from other parts of the body, such as the breast cancer, lung cancer, prostate cancer, bowel cancer etc. There are two types of primary cancers that develop within the eye - retinoblastoma in children and melanoma in adults. Unilateral vs Bilateral Retinoblastoma: What is Bilateral Retinoblastoma and how is it treated? In children, retinoblastoma can occur in one or both of eyes. When the condition occurs in only one eye, it is called unilateral retinoblastoma. The term unilateral stands for one side. When the eye cancer is present in both the eyes, the condition is called bilateral retinoblastoma. The term bilateral stands for both sides. Retinoblastoma is a tumor in the eye that mainly affects children below 5 years of age. It may also develop in fetuses in the womb, as well as in newborns, babies and toddlers. Retinoblastoma is rare malignant eye tumor. It starts in the retina of the eye. 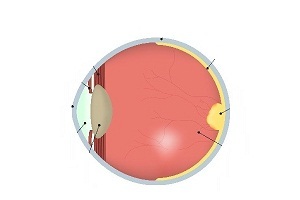 Retina is the light-sensitive layer of tissue that lines the inside of your eye. It sends visual messages through the optic nerve to the brain. Retinoblastoma is a rare form of cancer that rapidly develops from the immature cells of a retina, the light-detecting tissue of the eye. It can spread to other parts of the eye and other organs too.